1.1 Who are your ideal customers? The first stage of a significant customer relationship management is the good sales and marketing database, which give you a complete picture of what, and how customers buy from you. Of course, ideal customers are the ones you want more. You can discover your ideal personas by determining the customers’ profiles that are best for your business. Firstly, look for the customers who spend the most money with you. What makes them different from other customers? Make sure you look at bottom line profit along with invoice amounts. Truly you can piece together a complete picture of the perfect customer by monitoring essential details throughout the customer relationship. Maybe your ideal customers are people you connect with on Twitter, or possibly they are rabid shoppers. So, accurate customer database can help you excel your business by pleasing customers. Most retailers have the bulk of data that extends beyond their buying history. More often than not, much data is locked up in data warehouses and analytics tools such that it can not be used to tailor customers’ experiences. This data carries untapped potential to customize your customer’s journey. Companies in E-commerce can create a more dynamic and enjoyable experience for their customers by using all the data they have at their disposal. Cloud is a secure platform that provides a strong data backup during downtime. Sample this. Let’s say you own an accessories company with a loyalty program for customers. By integrating your CRM into your personalization platform, you can get all information about what they look for, have received and you will be able to tailor their experience successfully to your website. Maybe you can offer options on matching shoes or perhaps you can recommend other similar items they might like to buy. The happier your customers will be, the more likely they will continue buying your products. We know that the cost of acquiring a new client is more than keeping an existing client. As per your business type, there are specific features that you evaluate in a database that clear you when you should make contact with your customers. For instance, in the Medicare insurance field, various policies that my customers own are renewed annually. The customer’s database helps me create a monthly list of all the policyholders who will have an annual renewal in the next six weeks, and this is the time when customers get to know by insurance carriers about an increase in rate. Then we call every client right around the time they are receiving a notice of an increase in the mail. Our clients really appreciate when we contact. They consider our care for them when we offer more options for rate relief. Now, if I had kept all my files in just a file cabinet, I would never be calling my existing clients during renewal time, because it would be tedious to sort through all those files. My CRM keeps the data organized and helps build loyalty among our clients. A customer data is beneficial in many ways but small businesses often suffer with data breaches. SMBs need to understand about network security to keep their data safe from malicious attacks like WannaCry Ransomware. The marketing departments often juggle with confusion in finding the right message for the right customers throughout their journey. Companies can use digital technologies to get required information through collated customer data. Transactions, user interactions, and historical data provide exclusive insights about customer behaviour, laying the foundation for efficient customer targeting. Additionally, social media platforms help to create 360-degree user profiling. For segmentation and targeting purposes, aggregated information can be used. There is no doubt that customers value any offering from any business that addresses their needs. You can achieve by your CRM. The important advantage of having a CRM in place is you can manage relationships with your customers, increasing your sales and growth. 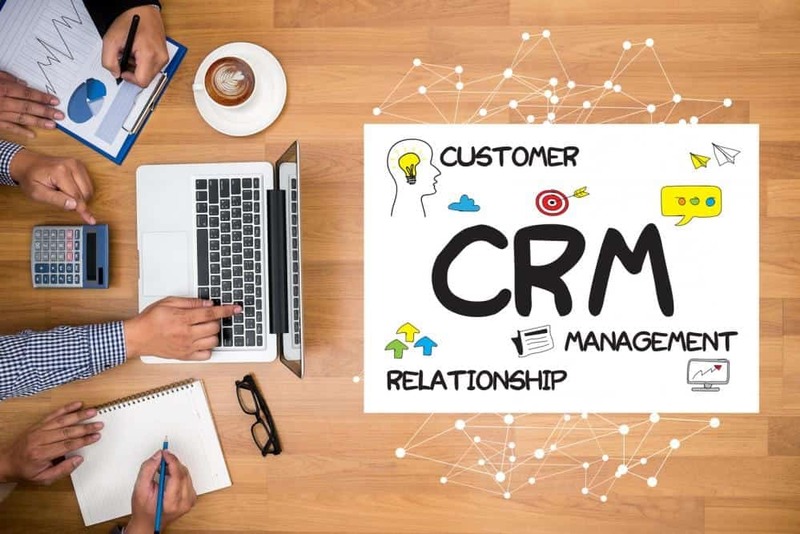 When you start leveraging CRM data, you can open many secrets that help to increase a customer retention rate, and you get hands-on tactics that help win new customers. You can even plan to take training like AWS training and certify your skills by understanding about Customer relationship platforms.